When Cameron Watson made his way into the I-League from the A-League in Australia, little did he know that he was making his way into a club with massive ambitions of making it to the very top of the leagues in Asia. 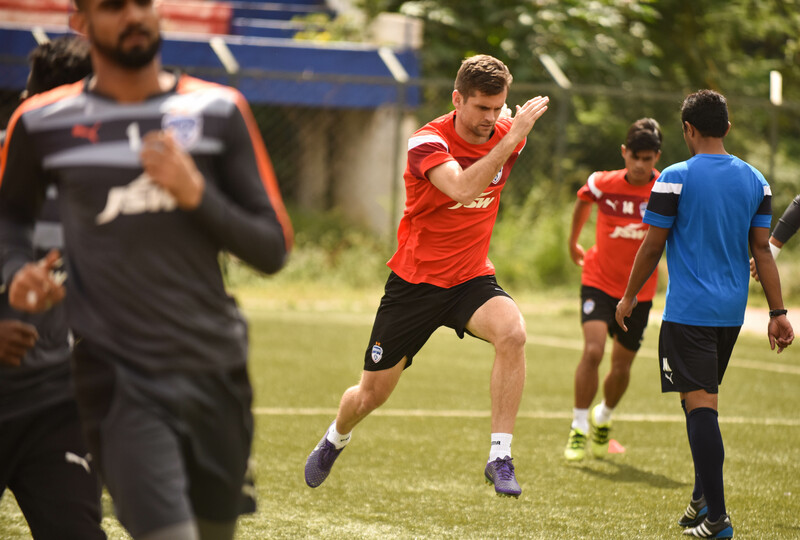 While the holding midfielder has been one of the standout performers for the Blues in whatever little football they played towards the close of the I-League season last year, he is certainly excited and raring to go in the upcoming edition of the League. Finally, he went on to conclude that the BFC experience has been unreal, to say the least. “The BFC experience has been unreal, really. I joined the club and started training in mid-July and it has been amazing. We went through from the quarterfinals all the way to the final of the AFC Cup and it’s been a great ride so far.